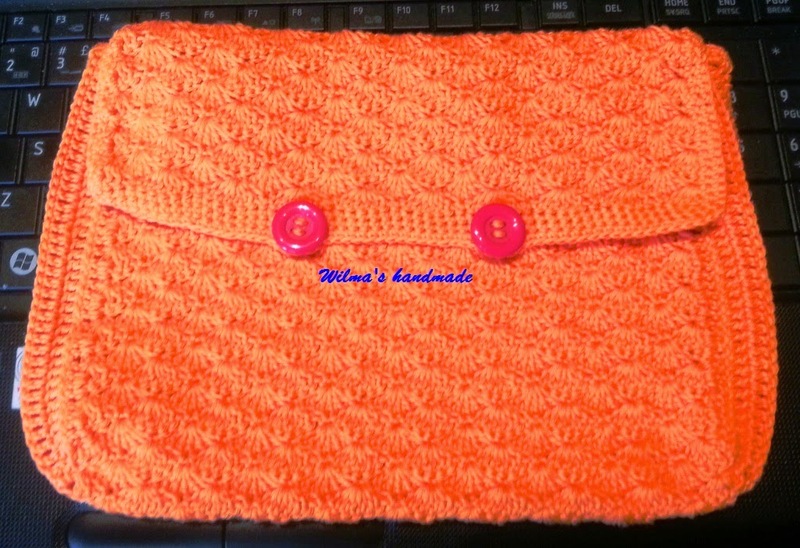 Last week my cousin ask me if I can make a clutch for to put her wallet and phone when she goes out for lunch at work. And I said yes .... I didn't even know what it would be like but I just say yes. So after looking for some idea on pinterest, I come up with this shell motif and all the time I just change how it will look like as the final product. The reason for the changes was that she has quiet a big wallet from the measurements she gave me, so I checked all the time if it was okay. Finally I add the side so it will be a bit thick. It's now finish ... well almost finish, I am making the handle at the moment and still have to line it. Taking the time, while my mind is already in vacation. Good to see you back here in the blogosphere! That’s a lovely clutch you’ve made. I’ve been busy too and now I have added knitting to my crafts skills! I’m also making another one of THAT bolero we both struggled with; it’s so easy when the pattern is right! Good on you that you make again that bolero ... I might too but using a cotton yarn this time ..